Humans are animals. There is no reason to keep breading. 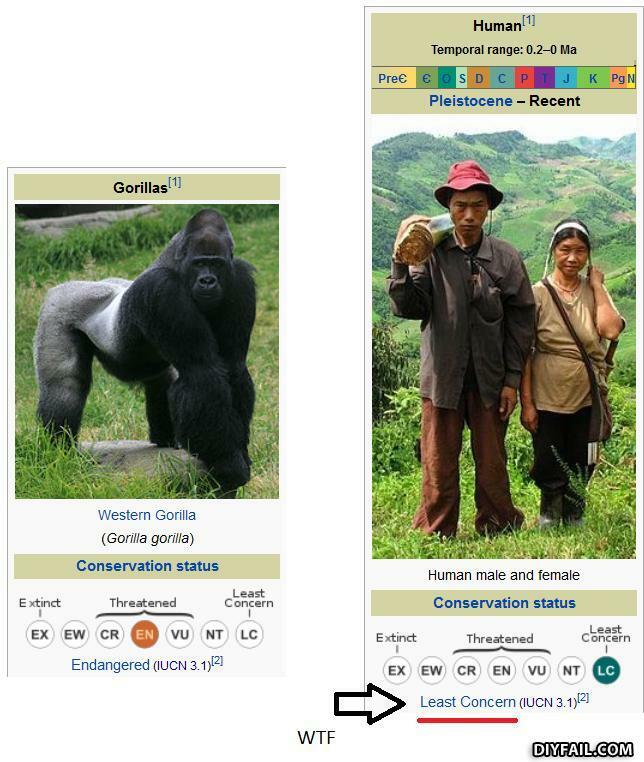 We are not endangered. THIS IS NOT A FAIL. Morons. Not a fail. Humans are not in any immediate risk of going extinct. "There is no reason to keep breading." - Darwin faceplant. Douglas Adams, on the other hand, would approve.